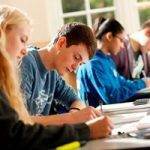 Our tutors are teachers who excel in their subject, specialising in GCSE and A Level teaching. 97% of our tutors work in mainstream education, with many examiners and Heads of Department. All have up to date knowledge of the exam curriculum and exam requirements, and create a lively, vibrant, inclusive environment in our classes. They are resourceful, motivated, well prepared and able to create a flexible programme according to the students’ requirements. Our tutors also promote independent learning, time management and revision techniques beyond the course. Students rate our tutors very highly, giving them an average score of 4.7 (out of 5). Here are some comments from past students which illustrate why our students rate our tutors so highly. 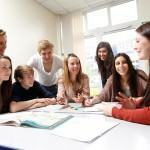 All our tutors are fully qualified teachers, with the vast majority being University educated with a PGCE qualification. Unlike many other companies, we do not employ students or trainee teachers. 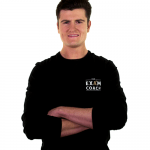 Our tutor base is highly experienced, with many having worked in teaching for over 10+ years. With a large proportion also being examiners or department heads, our tutors are able to provide students with invaluable insights and perspective as a result of their additional experience. As a large number of tutors have worked for us for a number of years, the majority of new tutors we recruit are recommended by our existing excellent tutors. When recruiting new tutors, we select only the best by using a rigorous recruitment process, which involves a detailed application form, face to face interview and an enhanced DBS check. Due to our long track record in the sector, we have considerable knowledge and experience recruiting tutors, enabling us to identify and recruit the highest quality candidates. For example, we generally only invite candidates for an interview if they meet our selection criteria, in terms of education, teaching experience and employment history. The interview stage is critical as it enables us to assess candidates’ teaching experience and skills in more detail. 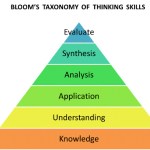 This gives us the opportunity to probe and test their knowledge and key skills, for example their ability to break down and explain more complex topics. For most interviews, we supplement our experience by working with an experienced and highly rated education consultant. Student safety is one of our top priorities and we undertake an enhanced DBS check on every tutor that works for us. Unlike other companies, who only undertake a standard DBS check at the time of recruitment, we repeat the enhanced DBS check every three years for every tutor, even if they have worked for us for a number of years. We believe this approach is an essential safety measure for any responsible company involved in the tuition of young people. As the quality of our courses is extremely important to us, all students complete a questionnaire at the end of their course. Students are able to provide feedback on all aspects of the course and there is a specific question about their tutor. In addition to feedback, students are asked to rate their tutor 1-5, with 5 being the highest. We use this system to monitor and manage the performance of tutors overall and individually, taking action if appropriate. On average, students rate our tutors at 4.5 or above; more recently, the average tutor score has increased to 4.7. To find out more about our tutors & courses, do call us on 01727 744340.